PORTSMOUTH, N.H. — Although an 1808 portrait of the privateer Ceres by Robert Salmon sold for $50,400, some of the highest prices of a two-day sale, April 7–8, at Northeast Auctions were earned by a collection of glass and porcelain that had been owned by Russian czars and empresses, along with architectural drawings of Russian public building and gardens. Some dated back to the time of Peter the Great, who reigned from 1682 to 1725. Items from identifiable imperial services were the most sought after, as were some of the architectural drawings. 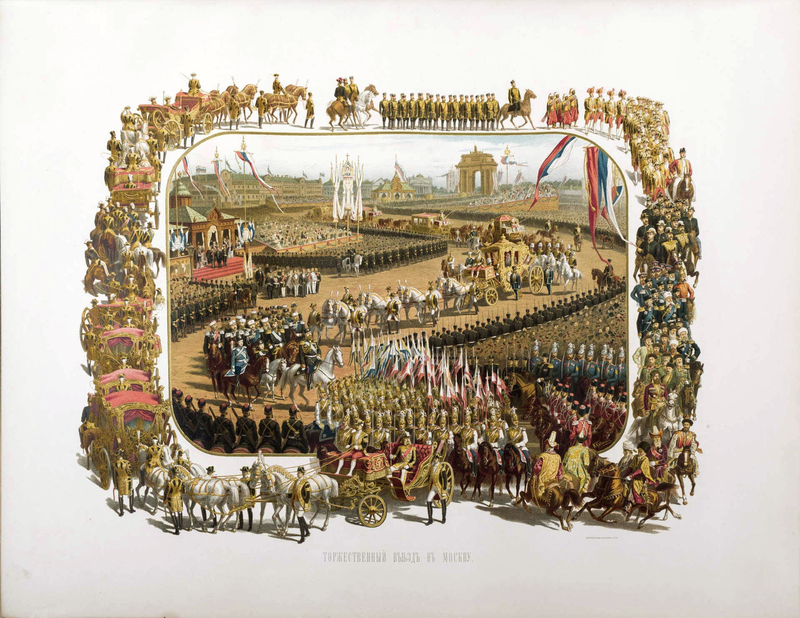 An elaborate album with 22 chromolithographs, prepared for the coronation of Alexander III in 1883 (shown above), was the highest priced item in the collection, earning $36,000. Only a few were produced for family members and visiting foreign dignitaries. A large colorless covered glass goblet, engraved with a portrait of Catherine the Great, circa 1780, earned $12,600. Taken together, the 170 Russian lots grossed almost $420,000, far in excess of the combined high estimate of $301,000.